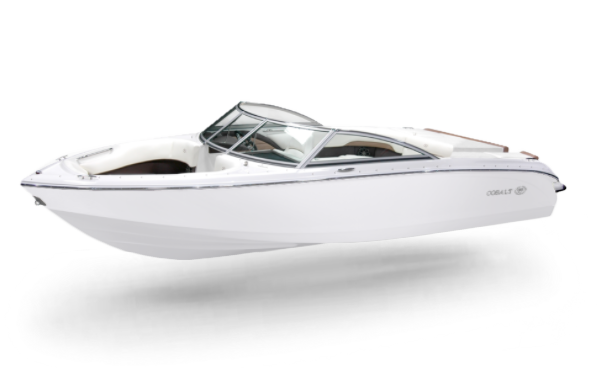 Where top-shelf design, construction and performance were once reserved for larger boats, the 200S changes the game. This unique 20-footer boasts an 89″ wide cockpit. 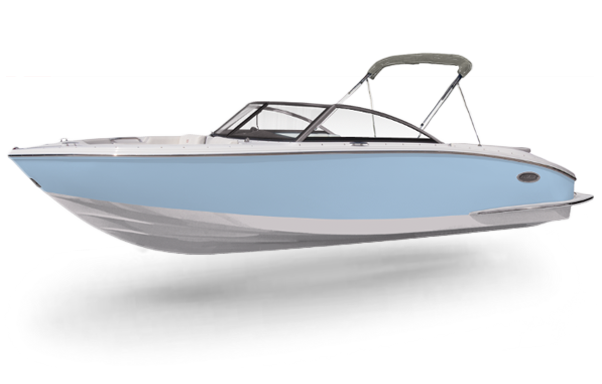 Plus, the sculpted hull delivers long, purposeful lines that sweep and flow to catch a perfect light, no matter the time of day. The Cobalt Sport Package brings an additional high energy touch to the already-athletic 10 Series models. 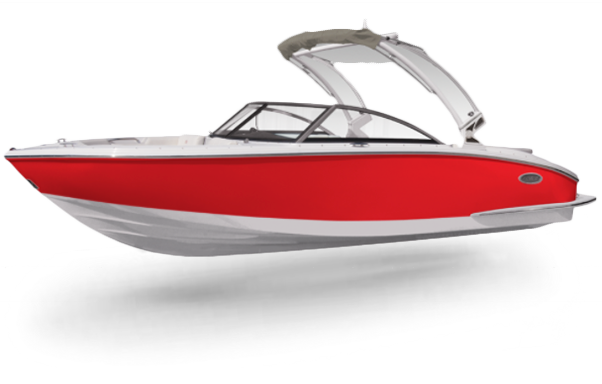 With bold interior color accents, color matched gauges at the dash, and a special edition water sports tower, your new 200S will step-up and stand-out. Dash mounted control of the stereo from the helm station while the main head unit is securely mounted in a lockable compartment in the passenger seat area. 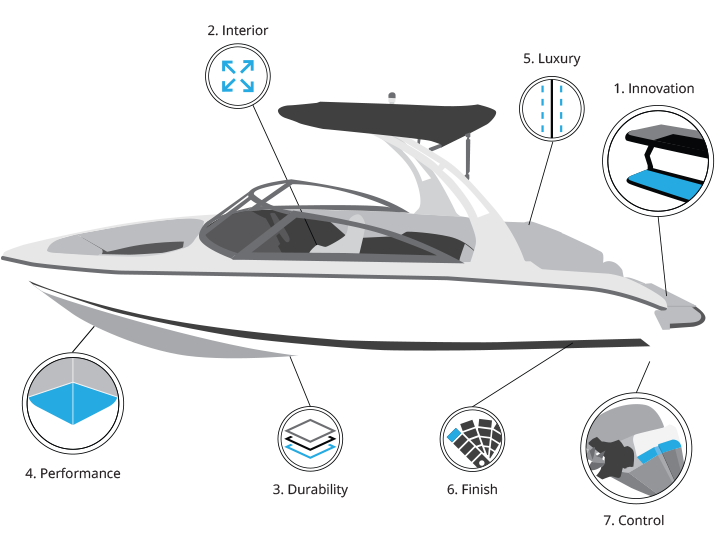 The ultimate in weather protection, our mooring cover is custom built for each Cobalt model. 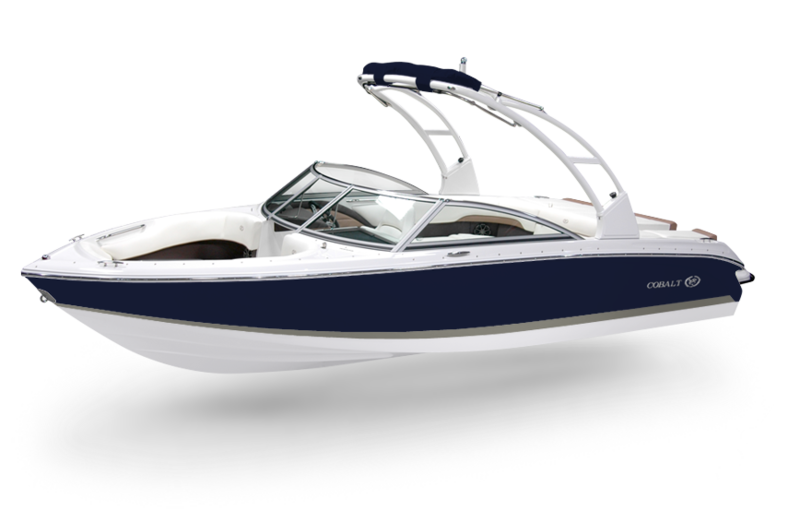 The custom cover includes velcro closures around the tops, stainless steel winches on the gunwale straps, and tent poles to prevent water pooling. Stainless steel flag pole with flag clips, receptacle and flag. Shown on model 232 with arch.